Come down and visit us in May! Book now before it's gone! Located on the 8th floor in the A building of Majestic Sun our unit, A808, offers many unique qualities that are Destin, FL. There are over 2000 feet of pristine white beaches and 300 acres of prime Florida real estate that are extremely inviting, relaxing and a whole lot of fun. The indoor pool is great during the Fall season and for the kids in the Summer! We look forward to extending the luxuries that our condominium has to offer, and have no doubts that it will truly become your 'home away from home.' Enjoy one of the largest, best tasting burgers you will ever experience and wash it down with an ice cold beverage, from the bar if you wish...at the Cabana Cafe (located in Ariel Dunes I). After lunch you might want to work off your lunch with a nice, long, invigorating... nap on the beach. After your nap you will need to re-energize with an intense workout in the state-of-the-art fitness center located right here at The Majestic Sun. This might seem like a 'stretch' but it is everyday life here at the beach. The beaches in Destin, FL and the people who occupy them are some of the most comforting in the world. The stark white sands and emerald waters are very addicting and its proximity to most of the Eastern United States allows you and your family to 'live it up' at minimal cost. The Majestic Sun is great!... My wife and I enjoy the location (adjacent to Seascape Golf Course), all the comforts of home, the proximity to the beach and the heated indoor pool. 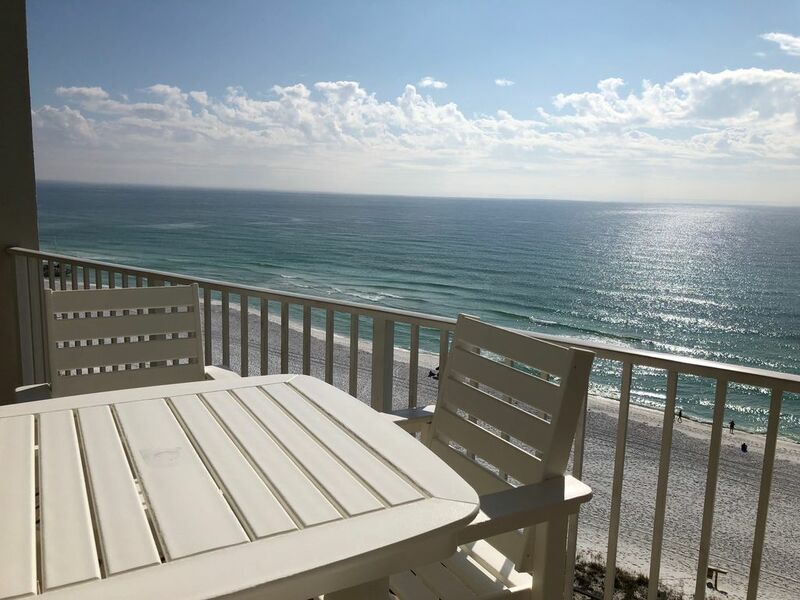 We are unable to live in sunny Destin, FL and want to extend the opportunity for you to enjoy the many unique benefits that the property has to offer. Beautiful place, looksjust like the pictures! Our family was very pleased with this unit! The whole place was very well maintained, updated, and clean. The pictures on the website were exactly what we got, which is rare. All of our codes worked with no issues, and security on the property made us feel very safe. Lots of other families were staying here, no crazy spring break party groups! We loved it and would definitely reserve this place again anytime! Thank you! Thanks Kelly! I’m glad you enjoyed your stay in Destin! I look forward to seeing you back on our calendars again soon! Safe Travels! Absolutely perfect! Everything was very clean and as pictured. Great views and location. The facility itself is well maintained. Would love to stay here again! Thanks Rhonda! I'm glad you enjoyed your time in Destin! I look forward to seeing you on our calendars again soon! It was amazingly cozy and great for us!! My wife and I liked this set of condos and the way everything went. We pray to own one of these one day. Thanks Bobby! I'm glad to hear that you enjoyed your stay! I hope to have you back again soon! I would highly recommend this condo to anyone. Absolutely beautiful and very clean. We had everything we needed once we arrived. Jason was outstanding!!! So easy to work with. We were able to check in a few hours early which was very much appreciated as we drove a long distance. We will most definately be back!!!! Thank you Jason!! Thanks Renee! I'm glad you enjoyed your time in Destin! It was great to work with you as well, and I look forward to having you back again soon! Everything was great We could not have asked for anything else VERY clean and very comfortable. Thanks Harry! I'm glad you enjoyed your time in Destin! I look forward to having you back again very soon! Nice spot to relax and escape work! Condo is easy to get in and out with plenty of parking. The views of the beach from the livingroom were exactly as pictured. Condo was very comfortable and felt like home away from home for my few days of peace and relaxation. Would definitely stay here again. Jason made the whole process easy. Thanks Heather! I'm glad to hear that you were able to relax and enjoy Destin! I hope to see you on our calendars again very soon! The property is rented with the understanding that a deposit will be collected if damage is found after rental.